Hi! My name is Brittany (though you might be familiar with me online under the handle Seren Fey from various art websites). I live in Ontario, Canada, and I am a huge geek; I've been in love with Star Wars since my dad let me watch A New Hope when I was about five years old. I love reading, MMO's, crafting, costuming, and so much more. My top three games are Star Wars: The Old Republic, World of Warcraft, and most things Legend of Zelda. I loooove to cosplay because it pairs my love of costumes with my love of making things. Seriously, I can never not be doing something with my hands. That's a really good question. I mean...that's a really good question. There's a lot of stuff that I do. There's a lot of stuff that I make. There's a heck of a lot of stuff that I try. Let's make a list! Sometimes I even get bored and make chocolates. I love experimenting with different spices and additives. Ever tried chocolate with a pinch of chili pepper? Damn. Is. It. Good. And occasionally mad combinations of the aforementioned! Honestly, what I try to do most is have fun. 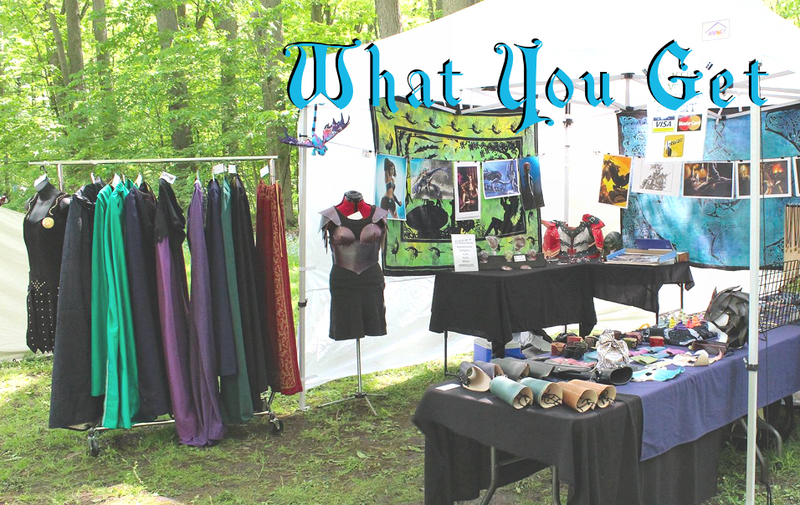 I do the things that bring me joy, and then I share them with other people so that at a renfest or a con I can watch someone's face light up when they find something they love. That is, without a doubt, the best thing about creating things. If it didn't cost me money to do this stuff, and to exist, I would do it for free. The best part about that list up there? It's constantly growing and expanding. I'm always looking for new things to try. For example, sometime this year, we're hoping to build a small metal foundry and take a shot at metal casting! Patreon, for me, is a way for me to start generating more awesome things. I work full time in a retail job, and goodness do I wish I could make it on the crazy things I dream up and make. 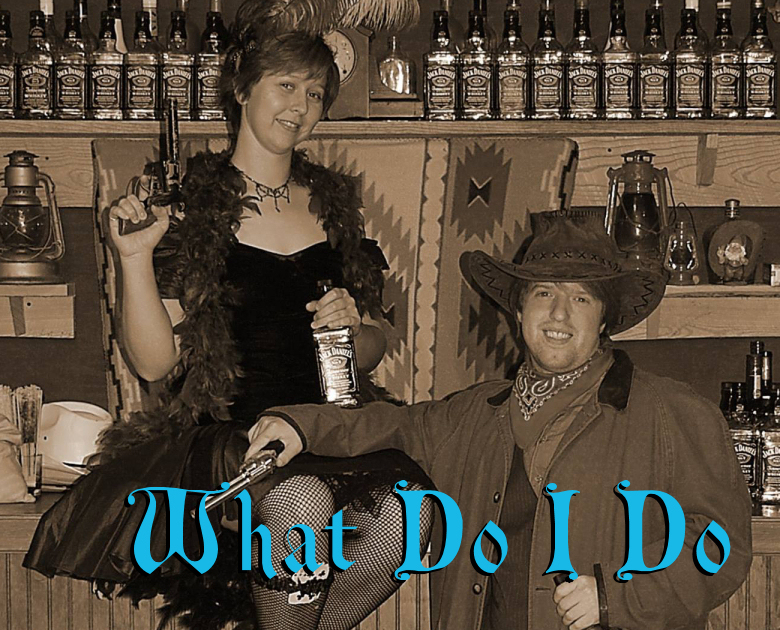 I travel to conventions and events around Ontario, including renaissance festivals, craft shows, conventions, etc., and I want to make creating things my number one priority. I want to devote my time to generating awesome for everyone else to see and enjoy. Patreon is a brilliant way for me to become connected with my followers in a way that my other venues don't allow me. I can make cool stuff, design awesome cosplays, and track and share these things with my supporters. We can talk, share ideas, brainstorm, and dream up crazy new things, and I can bring them to life. And the most important thing, we can have fun! At the end of the day, you definitely don't need to become a patron to enjoy my work. I'm still going to post all the usual content on my venues, like Facebook, DeviantART, Tumblr (I will, eventually, figure out Tumblr), FurAffinity, etc. 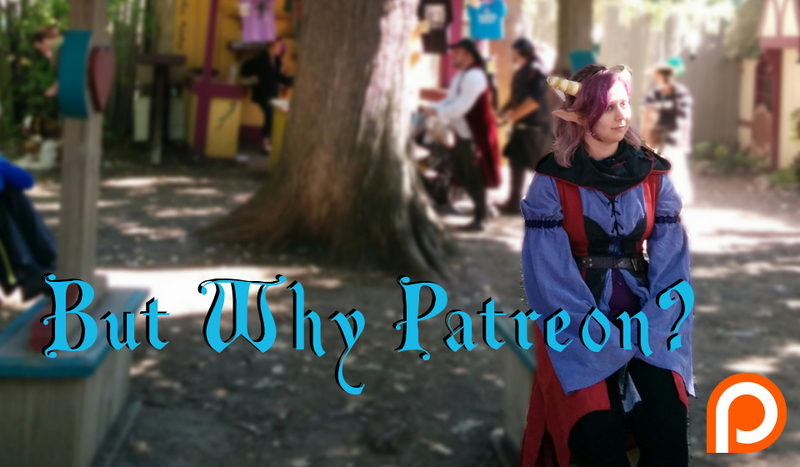 Patreon is an extra something for the folks who want to see all the WIPs, the trade secrets, the goofiness, and more. My other venues generally only see my finished products, not the process, or the work I pour into things. You're bound to get double, if not triple, the content, and get to be more directly involved in a vastly more personal side of my work. And, you'll get to see everything first. Well there are a bunch of really cool tiers to check out, but let me draw your attention to the following ones; $5, $10, $25, and $50. The $5 tier, called the Early Access Tier, is the stage where you get early access to everything. Sales, adoptables, loot boxes, experiments, updates, WIPs, everything. You also get 2 week early access to my embroidery file releases for a reduced price of $1.00 each. And to top it off, you also get an unlimited use 5% off on any purchases made in my Etsy shop. The $10 tier is the Raffle Starts Here Tier. So did you know that once I reach my first milestone of $100 per month, I'm going to do a raffle once a month of one cool item, and the winner gets it sent to them, totally free! And on top of that, you get early access to any of the tutorials I release. The $25 tier is what I call the Goodies Tier. This is the level where you get free stuff! Once every quarter (so, every three months) you get a package with a few small goodies in it sent to your home. These could be anything; jewellery, art, prints, or free tutorial downloads if you'd prefer them! You ALSO get access to my Discord server for Q&A chats, which I will have at least once a month! And then there's the $50 tier, called the Commissioner's Tier. Not only do you get an ongoing 20% off discount on purchases made in my Etsy shop, you also get a $15 per month credit toward a commission from me! This can be built up for a period not exceeding six months, or used monthly towards something cool you want me to make! Don't miss out on the other tiers! I also offer $1, $15, and $100 options, too! Check them out over on the side! 2 Week Early Access to Embroidery Files (embroidery files available at reduced rate of $1.00 each to patrons). 1 entry in the monthly raffle (once it starts at the $100 milestone). You get to vote on any polls I put up regarding cosplay selection, projects, and more. You will receive quarterly gift items. This means that once every 3 months you will get 1-3 items for free sent to your home. You may choose to substitute free tutorials in place of these items if you so choose (when tutorials are available). Your first package will happen on month 3. Access to my Q&A Discord chats, of which I will hold at least once per month. 20% off from my Etsy Shop. $15 per month toward a commission of your choice (some conditions apply). You get to suggest one project per month, and if it's a product, you get first dibs on it (some conditions apply). $30 per month toward a commission of your choice (some conditions apply). Wow, awesome! This first milestone is so exciting! Any money brought in from Patreon I can dedicate toward splurging on new materials to try out new stuff! Also, the monthly raffle kicks in once we hit $100; that means once per month I pick something I've made and give it away in a random draw.